Live in the midst of mature pines, just minutes from the Flagstaff Medical Center and all the restaurants, shops and festivities our historic downtown has to offer. Anasazi Ridge is a community of luxury homes. 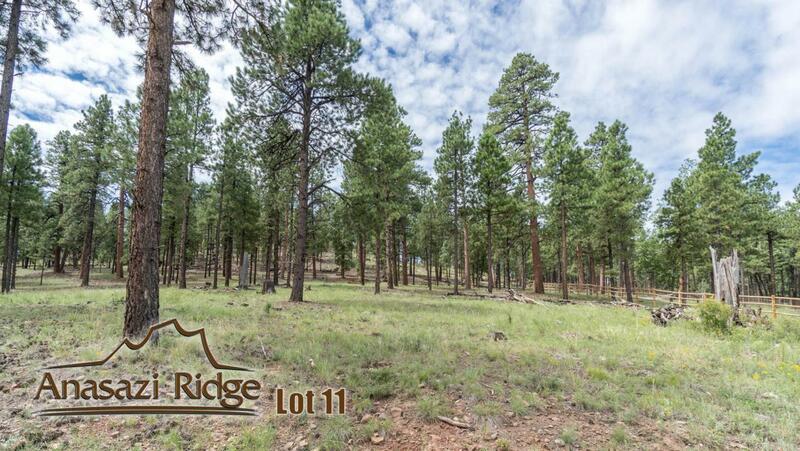 Lots in Anasazi Ridge are over a half acre with all city utilities surrounded by the Flagstaff Urban Trail System and open space for miles of outdoor hiking/biking activities. One of the few lots still available that back to open space. Cross Street Creekside Electric Other (See Rmks) Existing Land Use Residential Lot For Sale Or Lease Sale Gas Other (See Rmks) Hoa Fee 200.00 Hoa Paid Freq Annually Hoa YN Y Hoa2 YN N Horses N New Financing CashOther (See Rmks)ConventionalCtl Potential Use Single Family Sewer Sewer - Public Special Listing Conditions N/A Tax Year 2017 Taxes 2349.00 Water City Franchise Zoned Presently Single FamilyOther (See Rmks) Zoning Res.